The history of bodyguards and other practitioners of personal and executive protection has spanned millennia. For hundreds of years, high profile figures have required personal protection from foreign assassins, internal insurgents, and deranged individuals. Kings, presidents, popes as well as the wealthy and the powerful have enlisted special guards to ensure their safety. In the early years, most of these bodyguards were soldiers that were recruited from combat units after proving their martial experience. However, fighting prowess was not the only factor of importance. In antiquity, a bodyguard’s personal loyalty to his principal was considered his most important quality. One of the first chapters in the history of the bodyguard begins in ancient Greece. Alexander the Great retained a troop of guards used strictly for personal protection. This elite unit was known as the “Somatophylakes.” Most of these men were drawn from prestigious Macedonian cavalry units known as the “Hetairoi”. These heavy cavalrymen were Alexander’s shock troops and were the finest cavalry in the world at the time. As some of the best-trained and equipped soldiers in Alexander’s army, the Hetairoi were an obvious choice for Alexander’s personal bodyguard. The Romans borrowed many things from the Greeks, including the idea of an elite personal guard for their leaders. The Praetorian Guard was originally formed to protect Roman generals in the field. Over time, however, the unit eventually transformed into a personal protection force for the Emperors of Rome. In fact, the Guards became so powerful that they sometimes played the role of kingmaker. In one instance, the Praetorian Guard conspired with Roman Senators to assassinate the Emperor Caligula and appoint his uncle, Claudius, as Emperor of Rome. Due to its continual interference in Roman politics, the Praetorian Guard was dissolved by Emperor Constantine in the 4th Century. The need for executive protection and bodyguards was not exclusive to Europe. East Asia also saw the rise of elite personal protection units. In Japan, around 900 AD, the Samurai started coming into being. Initially, the Samurai served as feudal warriors to Japan’s nobility. However, they rose over time to become a powerful warrior class within feudal Japan. In fact, the Samurai would later prove instrumental to the Shogunate, the military government that ruled Japan until the late 19th century. Like Japan, China also retained elite units of bodyguards to protect their Emperors. However, these guard forces changed with the dynasties of China. For instance, the Tang dynasty used a heredity force of bodyguards known as the Forbidden Troops. In contrast, the Qing dynasty’s Imperial Guards Brigade was drawn from military units from around the country. This unit’s forces were divided into three sub-units. The smallest of these units, the Imperial Bodyguard, was manned by the most trusted men in the Brigade. Because early bodyguards and personal protection units have had such highly respected roles, they often have become part of the national tradition. For example, the personal protective units of several monarchies have been in service for centuries. For example, the Queen’s Guard and Queen’s Life Guard have protected the Monarchs of England since 1660. These Guards can still be seen today and have become one of London’s most enduring attractions. Like the English, the Pope still utilizes a guard force with centuries of tradition. 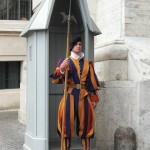 In fact, the Papacy has been protected by the Swiss Guard since 1506. As its name suggests, this unit was initially formed out of mercenary units from Switzerland. This was probably due to the fact that, during the Middle Ages, the Swiss were considered to be some of the best fighters in Europe. 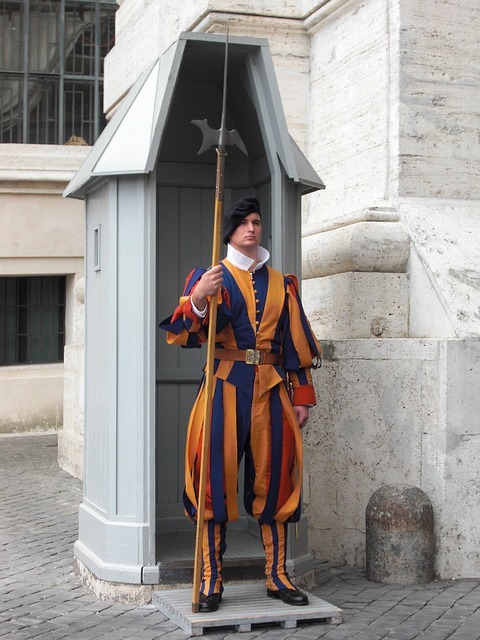 Swiss Guard admission requirements continue to reflect these historical roots. Today, a Swiss Guard must have Swiss citizenship and must have received military training in Switzerland. The IMG Group is a leading corporate security consulting firm with considerable experience in executive protection. Corporate or business organizations concerned about their need for effective personal protection can reach out to the IMG Group for assistance. The company’s expert security consultants provide services such as employee security, VIP and executive protection, risk and threat assessments, workplace violence prevention, protective services, crisis management planning, and more. These units are known as the King’s Guard when a male serves as England’s Head of State.